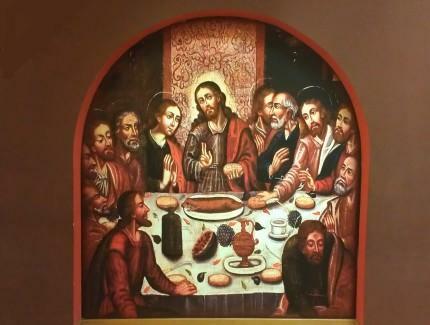 The original piece (by Marcos Zapata) is located in Cuzco’s Cathedral. Notice the “cuy” at the center of the table. The “cuy” is an Andean dish.